Las Vegas Frequently Asked Questions | Custom Closet Systems, Inc.
Will someone come to my house and design for me? 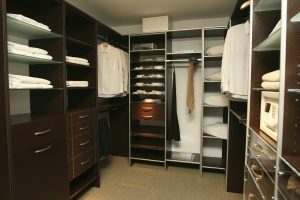 Yes, a Custom Closet Systems, Inc. representative will come to your home to assist in designing an area for your organizational needs. Our staff is trained and experienced to help you organize and maximize your storage area. Custom Closet Systems, Inc. can develop a customized plan to fit your needs and show you solutions in a visual 3-D format. Our systems are tailored to meet your individual needs and specifications, as well as your budget. We can design a customized system just for you. How long does it usually take to install? Installation times vary in accordance to the size of the project, but most projects are completed in less than a day. Can I install the product myself? This is a professionally installed product which requires precise measuring and cutting to ensure the quality of your Custom Closet System. Are Custom Closet Systems attached to the wall or floor mounted? Custom Closet Systems are available either wall-mounted or floor mounted, depending on your needs. Wall-mounted systems use our unique, patented EASY TRACK rail for maximum strength and flexibility. What materials are used to make Custom Closet storage products? 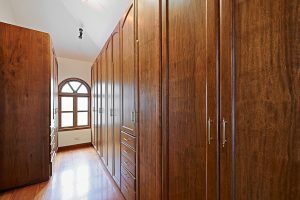 Custom Closet Systems, Inc. uses a wide range of materials including Melamine, Oak, Maple, Cherry ect. We also have a wide variety of different colors and finishes to choose from. Does Custom Closet Systems, Inc. sell to contractors? Yes, we can order cabinets and any other materials or accessories. Our licensed local contractors or “do it yourselfer” can place orders according to their cabinet project needs. © 2019 Custom Closet Systems, Inc.